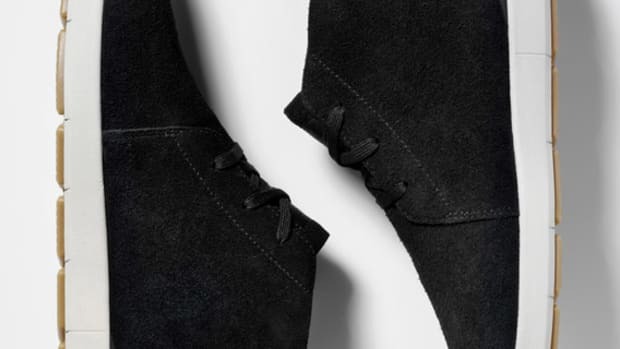 Welting is the process by which a shoe&apos;s upper is attached to the sole. 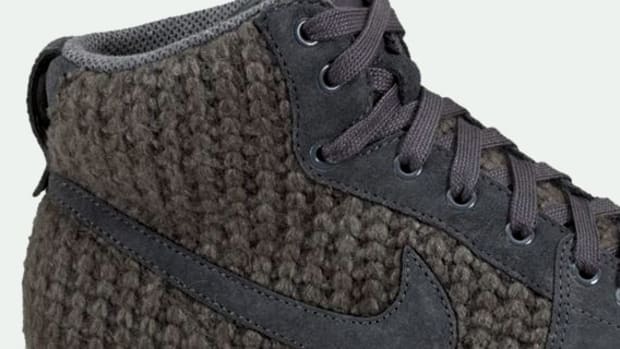 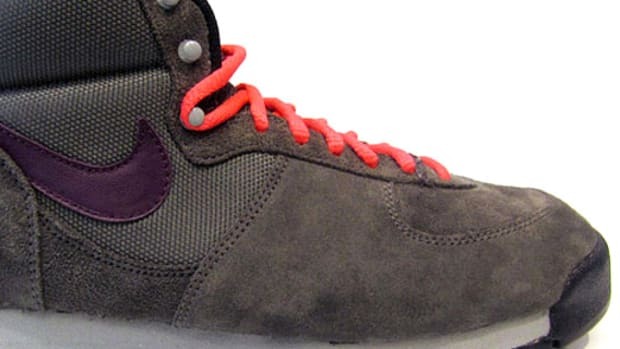 The procedure can be accomplished on the cheap by vulcanizing, while quality footwear features soles that are stitched to the upper. 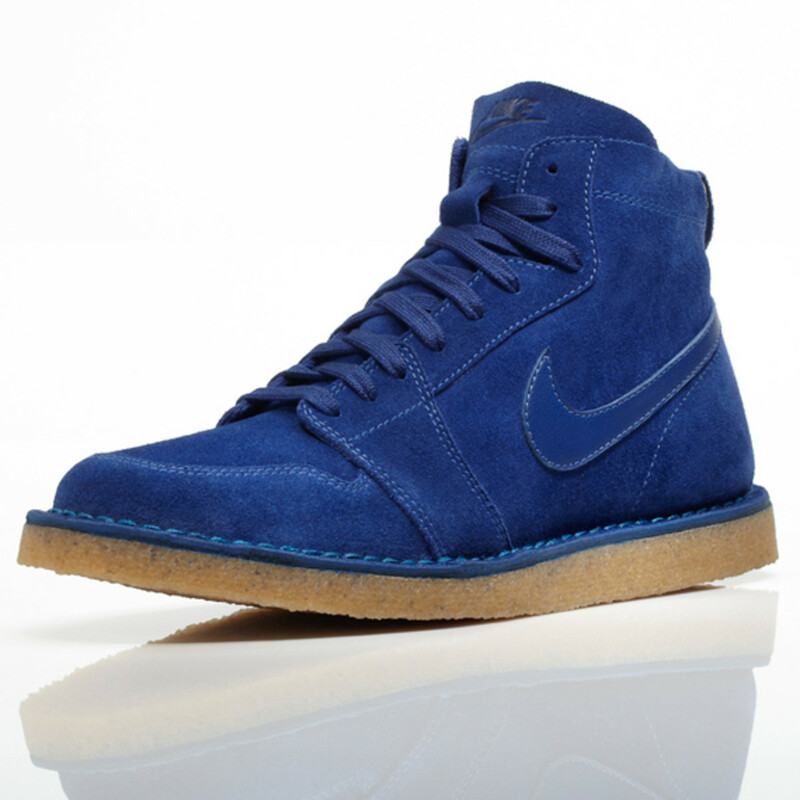 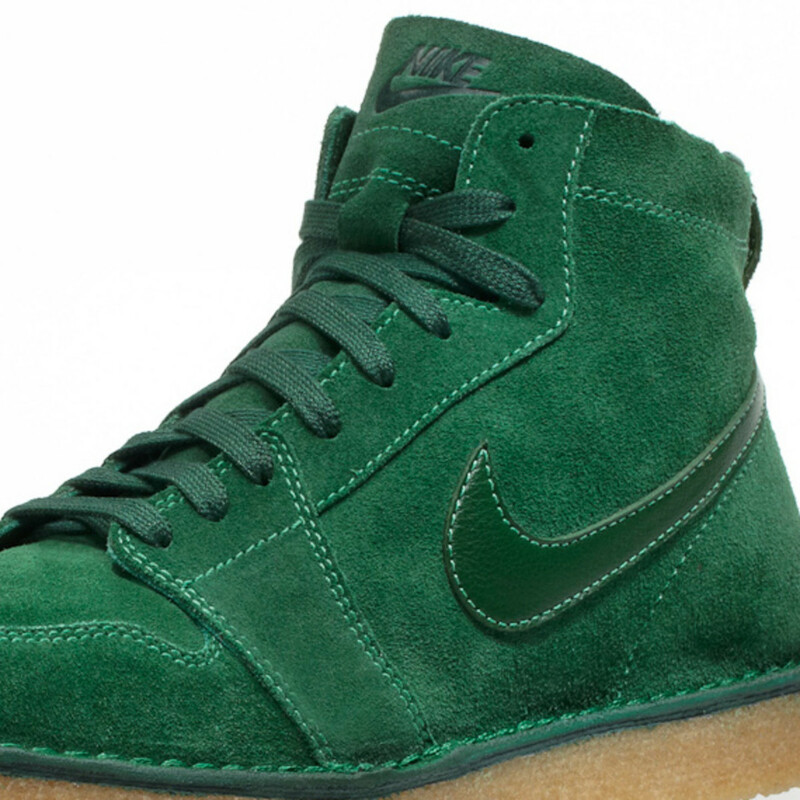 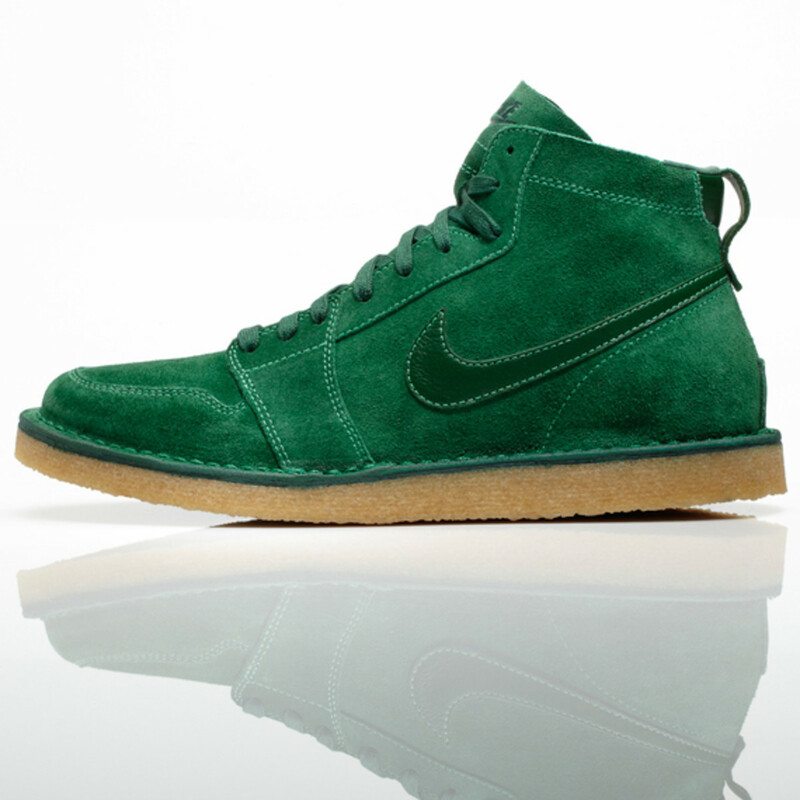 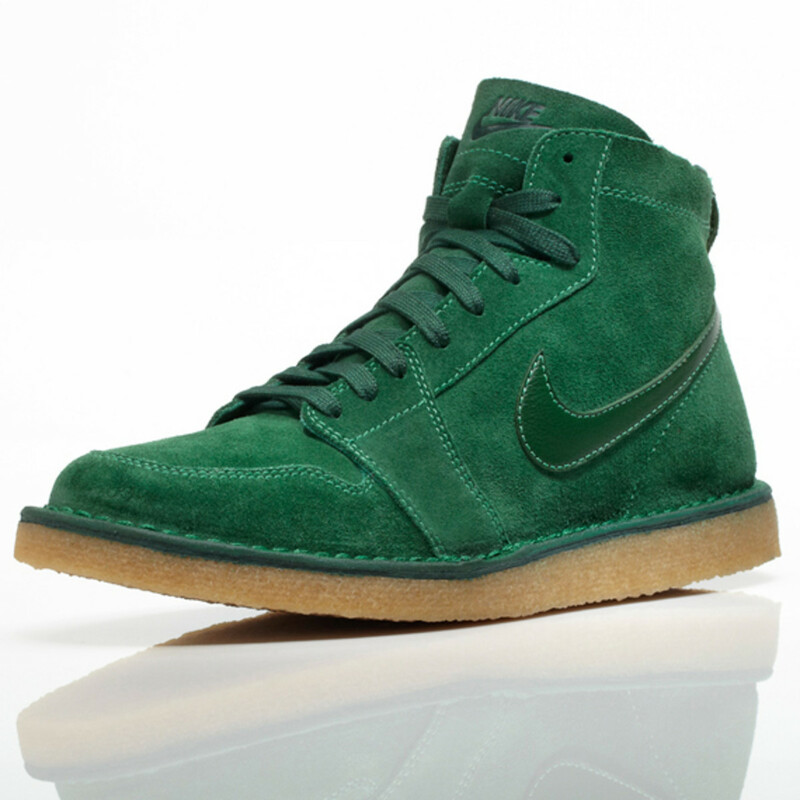 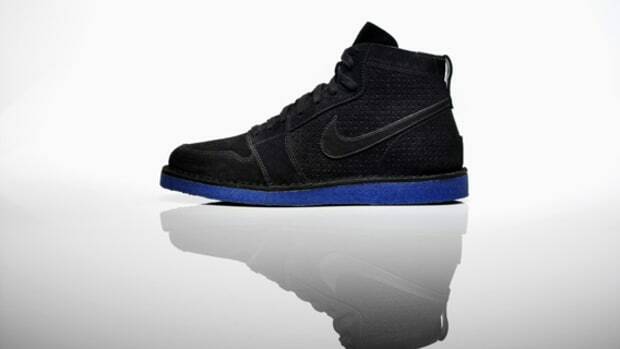 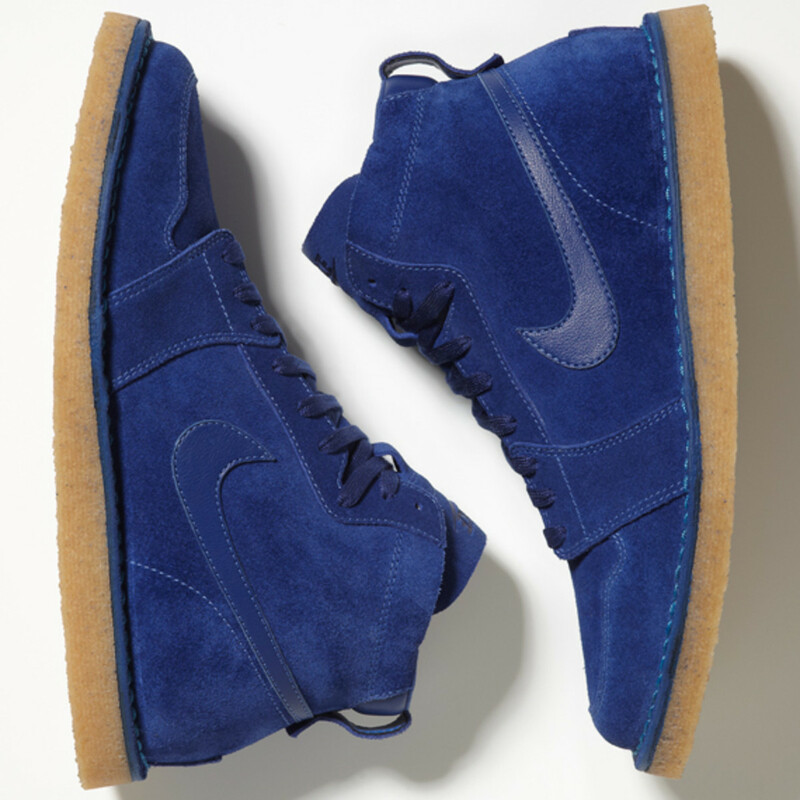 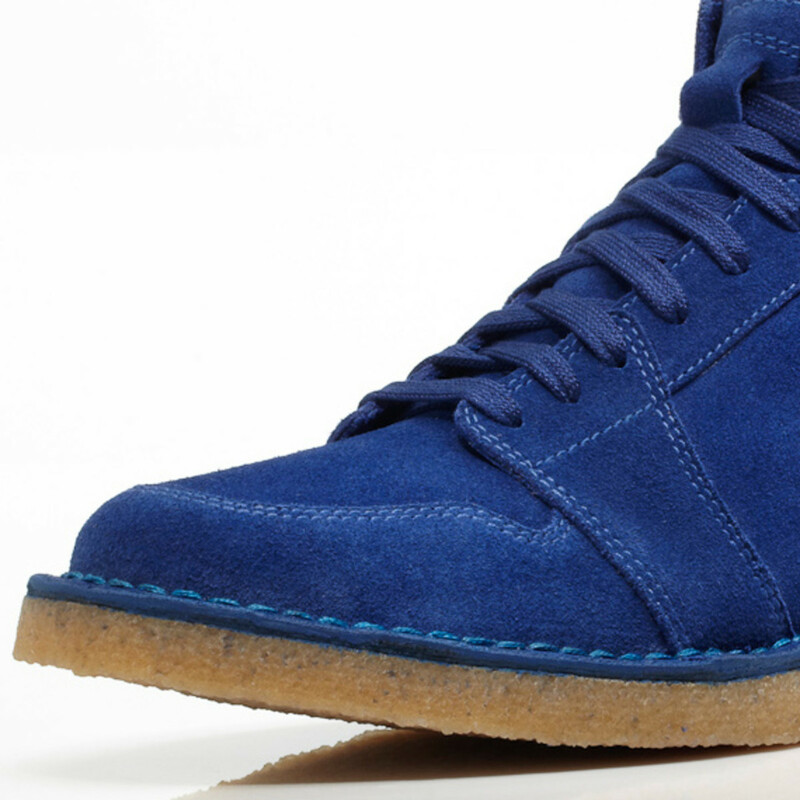 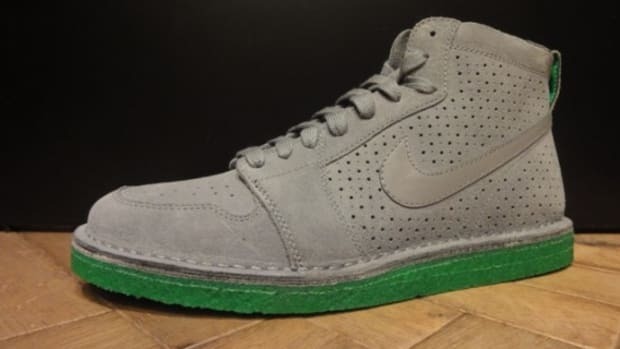 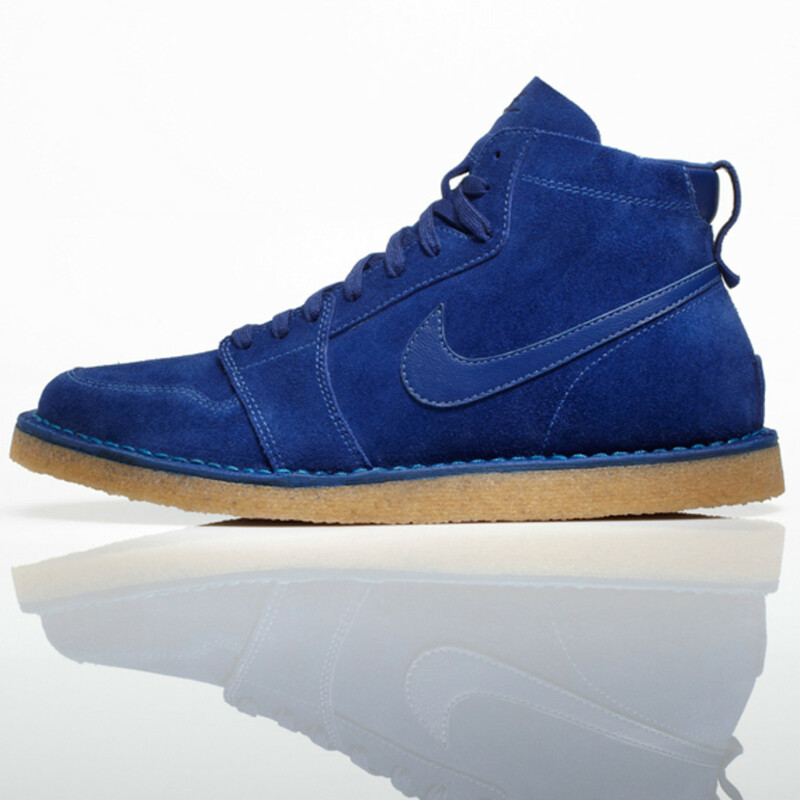 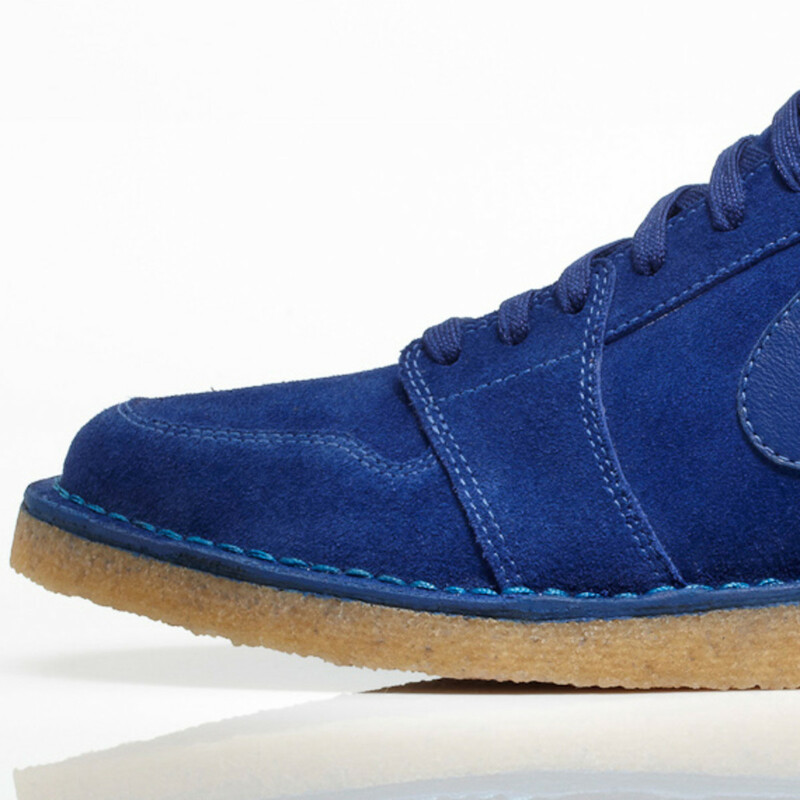 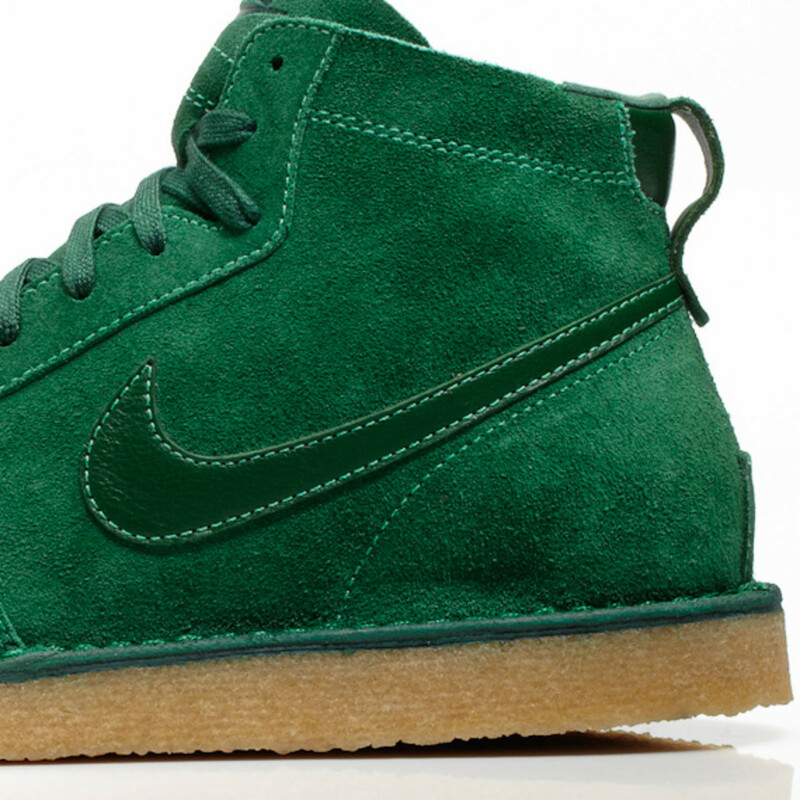 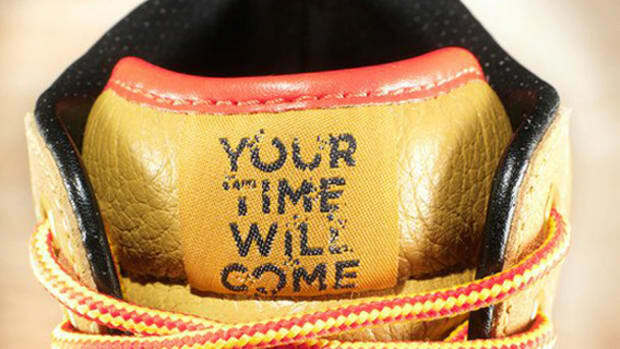 The latter method of welting is employed in the construction of the Nike Sportswear Air Royal Mid SO ("SO" is short for Stitched Outsole), a hybrid shoe built around the Air Royal Mid silhouette with a crepe sole traditionally found in classic desert boots, bundled with Nike Air cushioning in the heel. 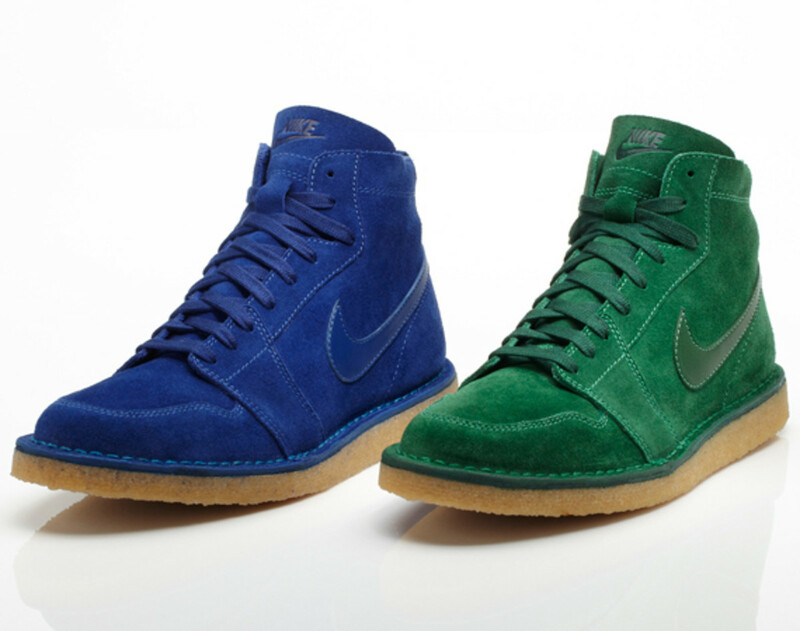 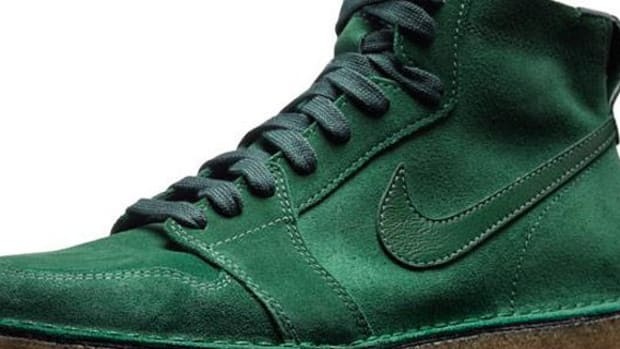 The shoe comes in two colorways -- Gorge Green or Deep Royal -- and will be available through select retailers in October.